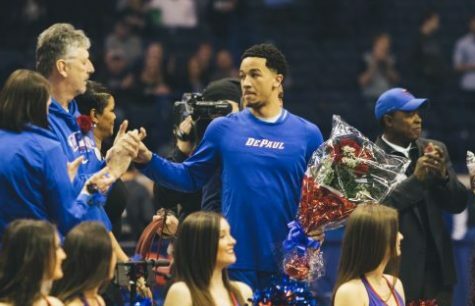 The only thing more predictable than DePaul men’s basketball blowing a 9-0 lead to start the game against the seventh-ranked team in the country is the way they opened the second half — uninspired. Turnover. Turnover. Missed jumper. Turnover. Turnover. The Musketeers, like any quality team would, took advantage and ballooned its lead to 15. Xavier never looked back and steadily handled the Blue Demons (7-14, 1-8) with a commanding 86-65 win at Allstate Arena. 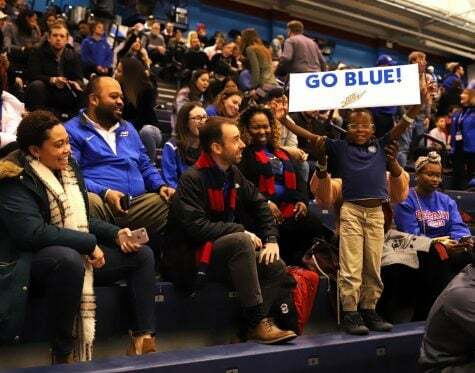 If this game was supposed to boost campus affinity to cap off Blue Demon Week, the university’s attempt to capture school spirit, then the Blue Demons failed miserably. 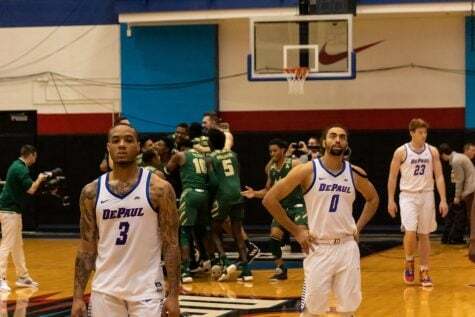 In moments, DePaul played with the ability that could have made a massive upset. 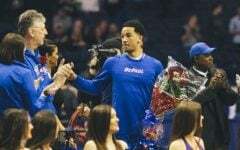 Behind a balanced offense and an even better defense, the Blue Demons kept Xavier scoreless for the first five minutes and led 9-0. 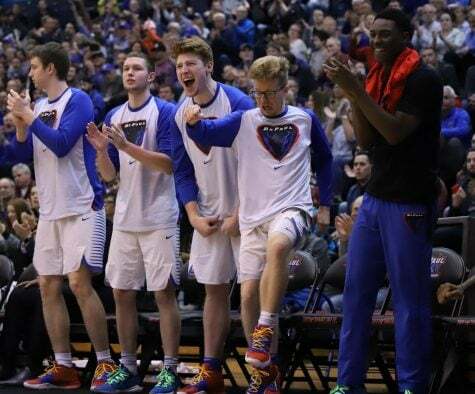 But like other games this season — Northwestern, Creighton — it was hardly a surprise that DePaul couldn’t maintain that energy. 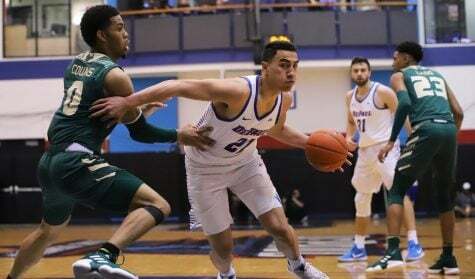 “It’s very frustrating, but we’ve been inconsistent throughout the whole year,” DePaul guard Billy Garrett Jr. said. “It’s a matter of fixing our problems. It’s as simple as that. We have to try and get better. But it’s nothing new. We’ve been doing that the whole year. 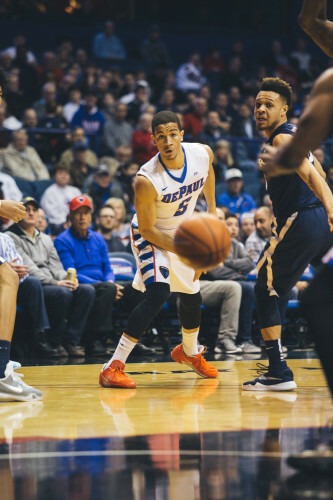 It’s that adjustment in culture that has tested the Blue Demons under Leitao. 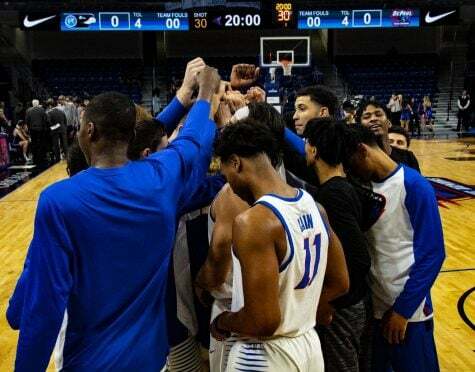 Nine games into the Big East season, the Blue Demons have only one conference victory on hand, a one-point win at that. The differences in culture were stark. Xavier remained calm when missing their first eight shots to begin the game. To search for a boost, they went to sophomore guard Larry Austin Jr. off the bench. Austin was just what Xavier needed, making hustle plays. 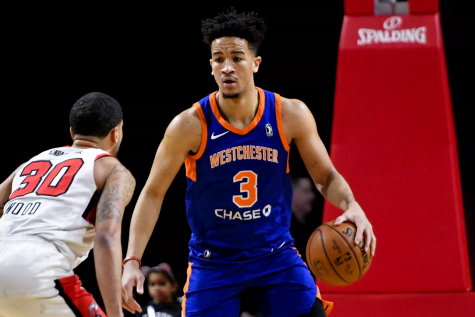 He finished with 12 points, five rebounds and four assists. 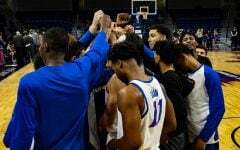 Austin’s performance was a teaching moment for the Blue Demons, and Leitao said he pointed out to his team on how Austin has bought into his role and how it’s paid off for him. Xavier head coach Chris Mack echoed similar thoughts in his post-game presser as well. 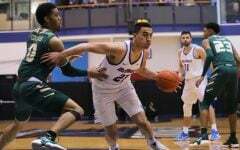 The Musketeers chipped away, attacking the basket time and time again and got to the free throw line. 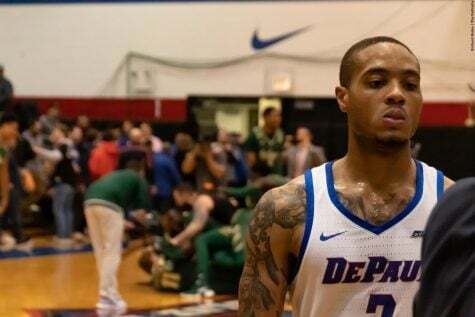 DePaul tried to answer and held onto the lead, with a particularly strong effort from Tommy Hamilton, who had 13 of his 15 points in the first. By half’s end, though, Xavier attempted 14 free throws, making 13 of them. Xavier took its first lead of the game, 34-32, on a pair of free throws with 2:14 left in the half. And while it’s hard to call anything that happens in the first half “a dagger,” Xavier gained a huge swing when DePaul forward Joe Hanel was called for a technical foul for a skirmish under the basket with Xavier forward Jalen Reynolds. 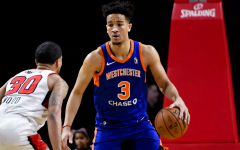 It gave Xavier four free throws attempts, two for the technical and two for being in the bonus after a normal foul on Hanel was called, and they hit all of them. 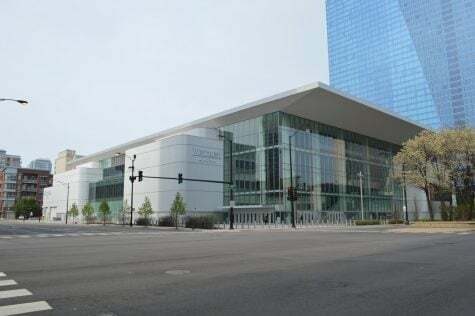 Foul trouble plagued DePaul. Xavier completed the game 25-of-31 from the line. Leitao played 14 players against Xavier, 11 of which saw at least five minutes. While he searches for answers, Saturday’s game was another instance of him altering the starting lineup, his eighth combination this year. In addition to that, forward Rashuan Stimage, whose started in 15 games, stat out due to a coach’s decision. Of the 14 players, there wasn’t a single individual that was able to keep off Xavier. More so, they struggled to do it as a team.